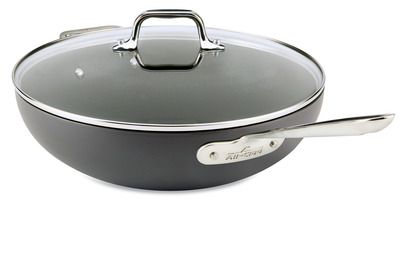 The chef's pan features a flat bottom and wide mouth, which accelerates the evaporation of liquids. The height of the sides make it ideal for sautéing, frying or steaming greater amounts of food with sufficient space for turning and stirring. 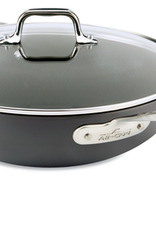 The domed lid can be used to retain moisture while cooking or to keep foods hot until serving. The flared edge and generous surface area make this pan ideal for preparing risotto and a wide variety of stir-fry recipes.